In Taiwan, people take photos by smartphones instead of cameras due to the fact that smartphone cameras have gotten much better since years ago. Even a used camera, it is precious to children in Kyrgyzstan where could be one of top 10 poorest countries in Eurasian. 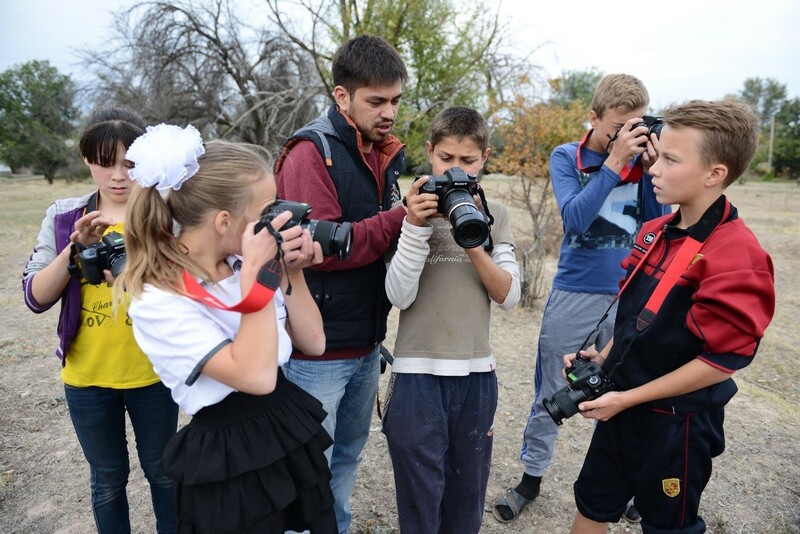 SONY Taiwan donated 30 second-hand cameras and new media cards to Kyrgyzstan children and this could change the way children look at the world and their thoughts about the future. TFCF Kyrgyzstan Branch was established in 2012. So far, we have provided services for over 1,600 families and 5,300 children under age 14 through the support from donors and sponsors in Taiwan. According to Kyrgyzstan situation, we have provided ﬁnancial assistance, nutritious food and emergency support. We have been creating diﬀerent programs for children’s needs, such as soccer team, English class, guitar, dancing, library, camera and handmade project. Except financial supports, we also help children expand their vision and create multiple learning environments in their life. TFCF CEO, Betty Ho said that Kyrgyzstan is occasionally referred to as "the Switzerland of Central Asia", however, there are nearly 60% of population living in poverty in the real world. 22% of the children under five were underweight and dead while living in extreme poverty. Children under 16 were forced to dropout of school and 40% of them joined the labor market. It is difficult for them to have a chance to change their destiny. We believe that “Give a man a fish and you feed him for a day. Teach a man to fish and you feed him for a lifetime”. TFCF Kyrgyzstan Branch provides solutions to help parents have the capacity and opportunities to run the small business, such as "Craft Workshop" and “TFCF Charity Guesthouse”. With the donation of cameras, now we also help children expand their vision and create multiple learning environments in their life. There are around 800 children still waiting for the sponsors in TFCF Mongolia, Kyrgyzstan and Swaziland Branches. We would like to invite people to lend a helping hand and give opportunities to change their life. If you are interested in this program, please contact TFCF foreign sponsorship department or call our donation hotline: (04) 22061234 ext. 157.